We always ask the bride and groom to send us their selection of music. At this moment, Adele’s Make You Feel My Love is the most popular song. We have used it at least 8 times this year! But good songs like these never get stale, and as every wedding is different, this song also sounds different with every wedding we edit. An example of a less conventional choice we encountered this year? What about Queen’s Another One Bites the Dust during guest arrivals? You know what, it really worked! At our last wedding fair in Hatfield House, we met a lot of couples who were really at the beginning of organising their special day. Some of them weren’t getting married until the Summer of 2014! We realised we would have to somehow craft a calendar for this year, in case brides and grooms would like to book that far ahead! 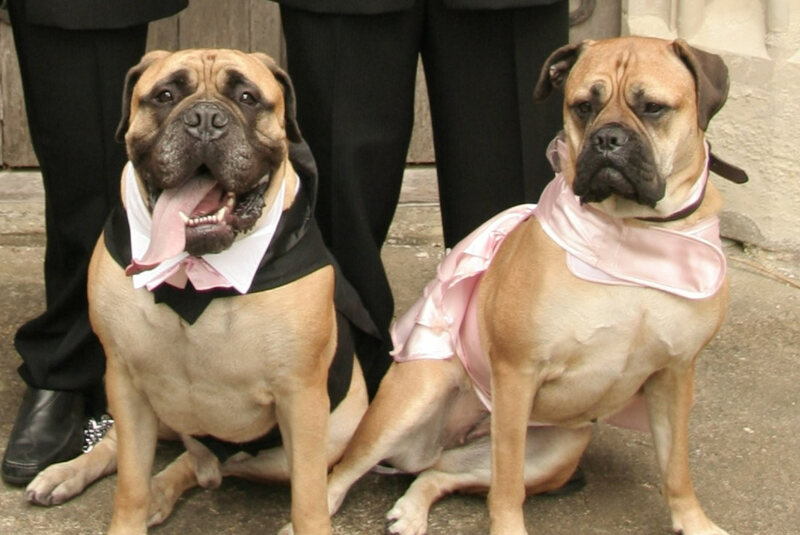 To be honest, we were a tiny bit concerned when we heard there would be dogs at the wedding of Zoe and Robert… but those concerns were gone immediately when we saw these wonderful and well-behaved dogs enter the church in full wedding attire!